What is FourSquare – and do you need to be on it? Foursquare is a mobile application that allows users to connect with friends and update their location. Users can post 140 character twitter-style tips or comments about the locations or venues they check into. Users can choose to have their check-ins posted on their accounts on Twitter, Facebook or both. I would liken FourSquare to a location based Twitter. And like Twitter, it is free to join and free to use. Foursquare launched in 2009 with functionality in 100 cities worldwide. In January 2010, it expanded to allow check-ins from any location worldwide. In March 2010, users had grown to 500,000 – and by last week it was reported that FourSquare had grown to 2,540,800 users with 28% growth in the month of July alone. Although penetration is still quite low in New Zealand compared to say the USA, this thing is growing faster than Twitter ever did! 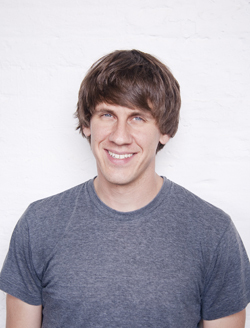 New York based FourSquare was co-founded by Dennis Crowley, who has been named one of the “Top 35 Innovators Under 35” by MIT Technology Review magazine. FourSquare has 27 employees – and has just attracted venture capital investment of US$20 million giving it a pre-money valuation of US$95 million. Not bad just one year after launch! So do you need to get your business onto FourSquare? If you’re in the business to business space, I’d say probably not. But if you’re providing goods or services to the public, yes – get yourself onto FourSquare. Particularly if you’re involved in leisure, entertainment, hospitality or the like. And I’d say definitely get involved if your target market includes overseas visitors. There may also be opportunities to use FourSquare to promote loyalty or advertising campaigns. We haven’t yet figured out how we’re going to harness FourSquare other than by being seen to be there, but here >>> is the Elevate CA venue on FourSquare. This may only be a fad – and FourSquare users may only ever amount to being a subset of Twitter users, but the number of people using FourSquare is exploding, so why not stake your claim. Even if the only benefit is being seen by your community to be an early adopter of new tools.